You need not have read the works of problematic writer H. P. Lovecraft to be familiar with his eponymous brand of horror; If you’ve read Hellboy, watched Cabin the the Woods or played Bloodborne, you’ve brushed up against the foundations – powerless humans pitted against the unimaginable, unspeakable horrors of an indifferent universe – of Lovecraftian horror, also called cosmic horror. But Cyanide Studio’s new game does more than skirt the edges of the subgenre, it embraces its tenants (and tropes) with wide open tentacles. 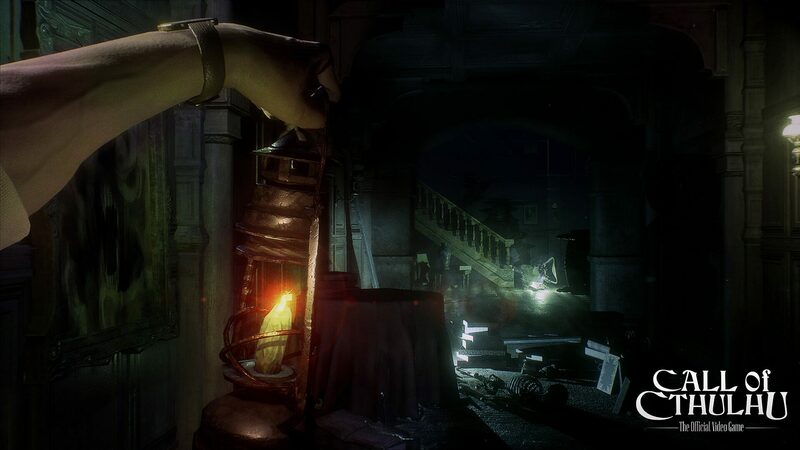 Inspired by Chaosium’s classic tabletop RPG, Call of Cthulhu is a first-person investigation game that explores Lovecraft’s “greatest contribution to supernatural literature,” the Cthulhu Mythos. By the end of Call of Cthulhu, you’ll be chest deep in the tropes of this fictional shared universe – apocalyptic prophesies, dimensional portals, deranged cultists, eldritch abominations – but at the start, it’s the simple story of a private detective, Edward Pierce, hired to investigate the death of renowned painter Sarah Hawkins. After Sarah, her husband Charles and her young son Simon perished in a house fire, her father receives a macabre painting, sent just before her death. Pierce believes it to be some sort of message, but in order to decipher that message’s meaning, he’ll have to travel to an isolated island off the coast of Boston. 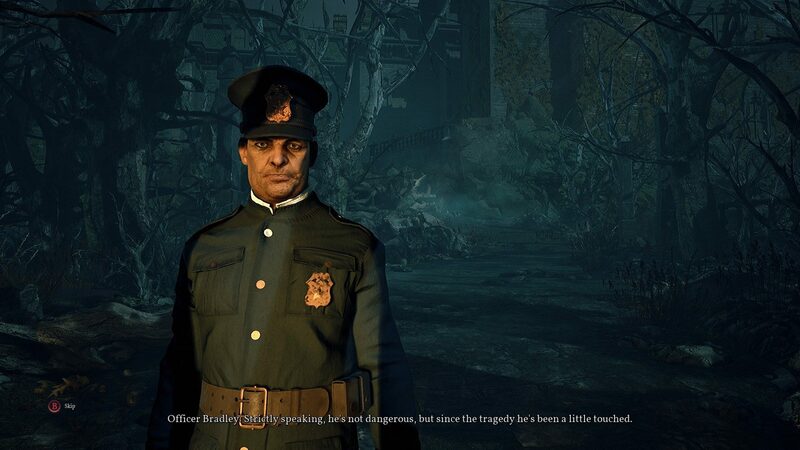 Right away we learn that Edward is a veteran of World War I and suffers from nightmares and severe claustrophobia from his time in the trenches, which he self medicates with liquor and sleeping pills; this is pretty much the extent of his personality, but it makes him the perfect cipher for the player. It’s in the colorful inhabitants of the insular whaling community of Darkwater Island that we get some depth of character, as well as the bulk of gameplay. 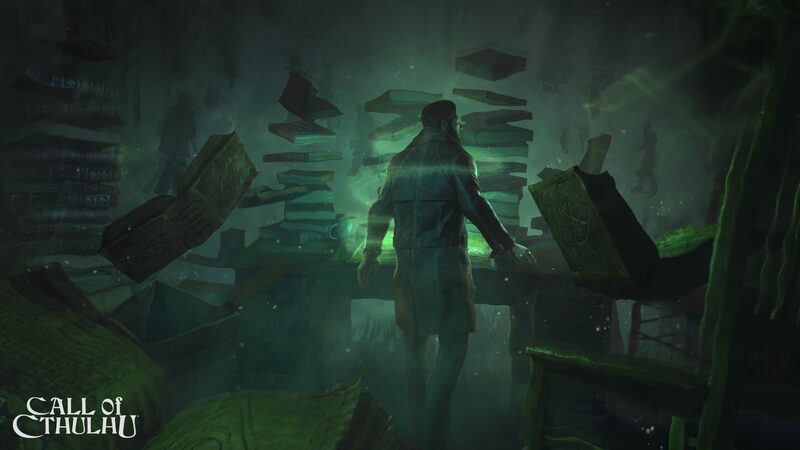 Call of Cthulhu is not an action game, and that’s to its credit; aside from a couple of clunky stealth and combat sections, the gameplay is a surprisingly effective and engaging balance between exploring environments, examining items, and talking to inhabitants. In first-person, you search the environment for hotspots, which reveal items or clues. The pen-and-paper RPG influence is felt in the form of character points, which you earn and spend to boost your skills in Investigation, Strength, Eloquence, Psychology and Spot Hidden, which reveals otherwise hidden hotspots. 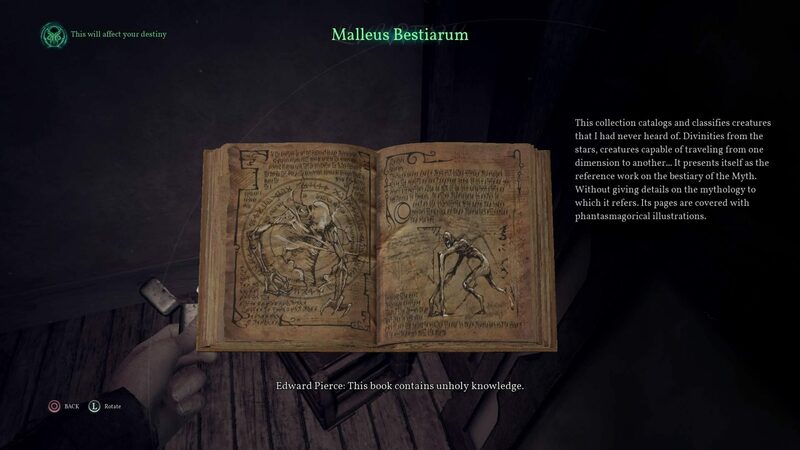 To boost your Medicine and Occultism skills, you’ll have find collectible objects, like medical books or arcane tomes, respectively. Your skill level affects both the options you can choose in dialogue and the ways in which you can interact with the environment. Spend your points on Strength and you can pick a lock with brute force while Eloquence will allow you to persuade the guard to hand over the key; there are usually multiple paths to achieving the same goal, so if you get stuck it’s probably because there’s something in the room you failed to click on, not because you poured points into the wrong skill. 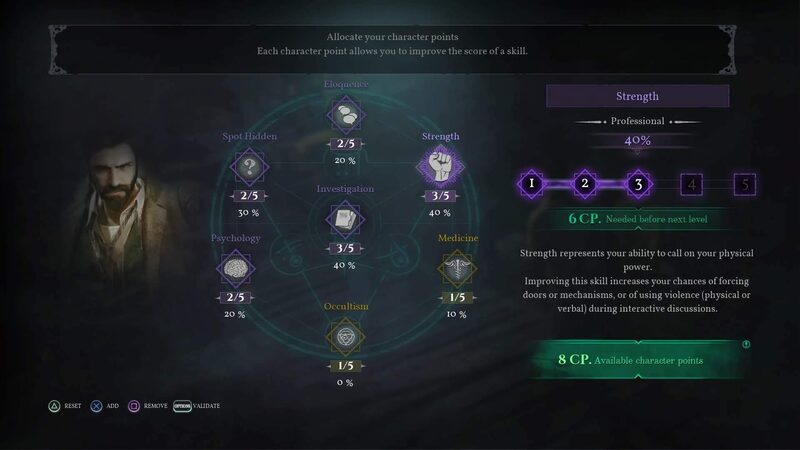 Even though they may seem ambiguous when it comes to solving puzzles, you can see the impact of character points as they relate to conversations, as certain lines of inquiry will be greyed out in the dialogue wheel if you fail a skill check. What’s a little more murky is how they affect the game ending. After certain choices, an icon will appear on screen saying that “this will affect your destiny,” but both my playthroughs resulted in a binary choice between the same two endings. A summary screen at the end of each chapter showing how your choices are impacting the narrative, a la Detroit: Become Human, would have added some serious replay value and made the RPG elements seem more relevant. 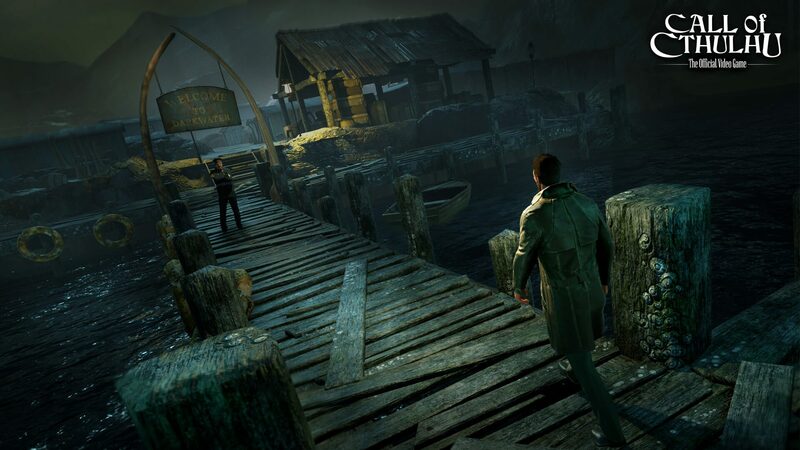 Call of Cthulhu is not a great role playing game, but it is a decent detective game; it is at its best when you’re grilling locals and scouring locations for clues. Gather enough, and sometimes you’ll enter a “reconstruction” mode that allows you a glimpse into the past. And as Pierce’s tenuous grip on sanity slips, the weirder these glimpses get. Sure, it all still boils down to 12 hours of clicking on hotspots, but there’s so much moody detail packed into the locations – the fog-blanketed docks, blood-streaked asylum, rune-covered caves – that the busy work never feels rote. On the flip side, it is at its worst when it moves away from exploring environments and solving puzzles into ill-conceived action sequences. In one, you’re trapped in an art gallery with a monster that will kill you in one hit. You need to find a particular item to use in a particular spot, and though there are a couple of conveniently placed closets, hiding doesn’t work so great when the monster has preternatural senses, your protagonist has crippling claustrophobia, and the damn art gallery is comprised of only three small rooms. It’s the polar opposite of a previous sequence where you’re tasked with avoiding guards making their rounds in an asylum; it is an embarrassment of riches and by riches I mean closets, and though the guards will catch you if get right in their faces, they apparently don’t get paid enough to turn around. As frustrating as these stealth sequences are, at least they’re not boring like the combat sequence near the end of the game, which gives you a gun and slow zombie-style enemies to mow down like a carnival shooting gallery; I am sure this was meant to be tense, but the execution made it tedious. 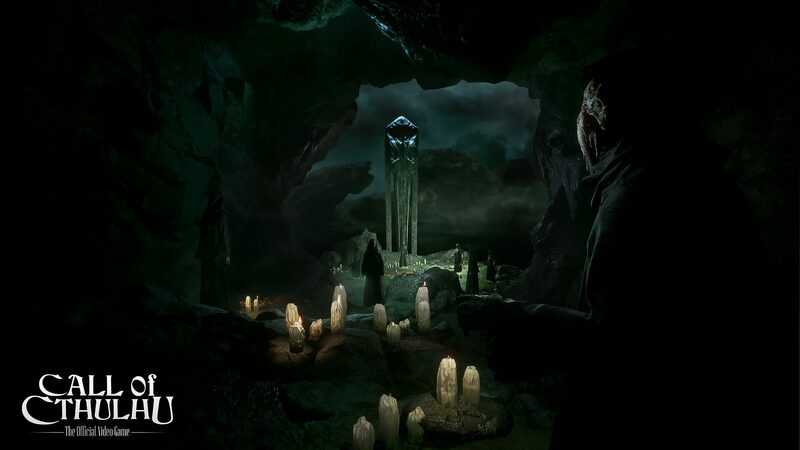 When not mired in poorly conceived and executed action sequences, Call of Cthulhu is is an atmospheric and entertaining point-and-click exploration game that ticks all the boxes of cosmic horror. Like the mythos it explores, and the 1981 pen-and-paper game on which its based, it feels like a throwback to an earlier era. That’s not necessarily a bad thing; I’m sure I’m not the only one nostalgic for a time when tales of cosmic deities and creepy cults inspired more fear than the 24-hour news cycle.